LG Electronics MobileComm U.S.A., Inc. revealed at this year’s CES the advanced capabilities of Long Term Evolution or LTE technology. The company showcased LTE download speeds of 100MBps. Long Term Evolution is also known as the next generation mobile communication service technology. LG conducted real-time demonstrations of video conferences, full HD video files and web-surfing at speeds up to 50Mbps for uploads and 100Mbps for downloads. All this was executed by connecting to the LTE USB Modem from LG. The offering gives extremely high data download speeds. The company also unfurled to the CES attendees the ‘handover’ technology. This offering executes hindrance-free network conversion between LTE and CDMA networks. LG displayed endless data transmissions taking place between LTE and CDMA antennas which enables video file downloads, internet calling and web surfing. All this was done via the sleek version of the 4G LTE device which is an LG proprietary product fashioned for the Handover just last August. LG has also teamed up with Verizon wireless to demonstrate the applications and capabilities that are possible with LTE networks. At the recently held event, the Verizon Wireless Innovation Center demonstrated many applications with Innovation Center member LG Mobile Phones being its main participant. LG demonstrated LTE network and joined forces with other companies for formulating Home monitoring solutions, an indoor/outdoor IP security camera and a video conferencing product. Alcatel-Lucent and LG Electronics have completed a successful handoff of an end-to-end data call between Long Term Evolution, or “LTE,” and CDMA mobile networks. The live, over-the-air handover consisted of an uninterrupted streaming video session conducted over Alcatel-Lucent's end-to-end commercial LTE and CDMA/EV-DO infrastructure using an LG Electronics CDMA and LTE dual mode device. The handoff is compliant with the standards established by the Third Generation Partnership Project, or “3GPP.” According to Ken Wirth, president of 4G and LTE Networks at Alcatel-Lucent, since existing networks were designed primarily with voice in mind, the current explosion in data traffic is creating a challenge for service providers. The successful handoff demonstrates Alcatel-Lucent's readiness to deliver LTE to CDMA operators. LTE provides operators with the opportunity to deploy a system designed specifically to support data. 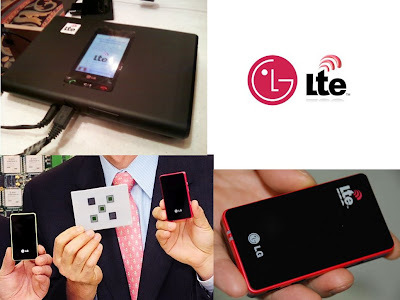 LG's M13 CDMA/LTE device incorporated for the testing is the world's first modem chipset for 4G LTE devices. It was created with commercial grade components and released in December 2008. The technology behind LG's M13 CDMA/LTE terminal is important in enabling LTE networks to operate transparently with existing CDMA networks. According to In-kyung Kim, vice president of 4G development at LG Electronics Mobile Communications Company R&D Center, LG's M13 terminal will be an important device in enabling CDMA network operators to deploy a LTE network incrementally over a national CDMA network. LG has an impressive LTE track record: an LTE demo at Mobile World Congress 2008; the announcement of the world's first LTE chipset and modem prototype in November 2008; the first LTE-enabled mobile device Live Air Demo at Mobile World Congress 2009; the first FCC LTE Device certification built around LG's LTE chipset in June 2009; the first dual-mode LTE/eHRPD in-call handover in August 2009; and a 100 Mbps maximum throughput Live Demo at CES 2010. 3GPP Release8 June 2009 compliance, multiple band support (2.1 GHz Band1 or 700 MHz Band13), various system bandwidth, from 5 MHz to 20 MHz and max throughput with up to 100 Mbps downlink and 50 Mbps uplink, are among the main features supported by the dual-mode LTE/CDMA Vd13 device and LTE-only LD100U device. In Las Vegas, LG executives recognized that the two devices recently unveiled are intended more to demonstrate their LTE development leadership and, likely, will not be launched as commercial devices. Although they didn't outline their exact plan, they disclosed that their own LTE modem will eventually be integrated into a netbook or notebook, meaning that a more integrated chipset solution will hit the market soon. Known for its 2G and 3G handset line, LG relied on mature merchant chipset solutions such as Qualcomm, ST-Ericsson or Infineon chips, not LG technology. We can elaborate different scenarios to explain their new positioning as an LTE market driver. Gaining ground in all cellular technologies and capturing more than 10 percent of the total handset market as year-end 2009, leading them to third position worldwide, LG has decided to invest significantly into chipset development in order to become technology independent. On top of the LTE modem, they will now introduce phones based on their own 2G/3G/4G intellectual properties to save cost and stay ahead. We could also speculate that LG wants to broaden their essential patents portfolio, driving 3GPP groups and initiatives to better compete with their current chip suppliers. In this case, once the LTE market matures and reaches a critical mass, LG will switch to third party players just as they have in the past. One more scenario has to be considered: following Nokia's early strategy, LG could license its LTE modem IP to partners that will manufacture the chipset solution and sell it back to them. It's difficult to predict LG's long-term strategy in terms of chipset development at this point. The company has the scale to succeed, scale that small WiMAX players who recently announced parallel WiMAX/LTE roadmaps lack. In the new research report released by Maravedis in partnership with Reveal Wireless, entitled "WiMAX Wave2 Subscriber Station Chipset Vendors Competitive Analysis," we have identified the WiMAX chipset companies who have shifted to LTE by offering a flexible programmable base-band solution. 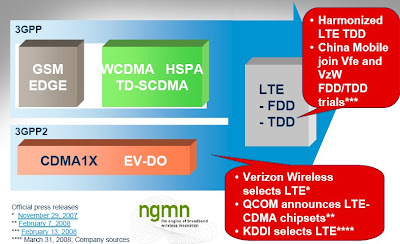 The LTE base-band chipset market is already crowded: incumbent manufacturers who ship in large volume (Qualcomm, ST-Ericsson, and Nokia), new entrants who traditionally relied on merchant solutions (LG and Samsung Electronics), and newcomers who leverage their OFDM expertise, WiMAX chipset background, and WiMAX ecosystem experience (Altair, Comsys, Sandbridge, Sequans and Wavesat) are committed to playing a significant role in the LTE baseband landscape. With Mediatek, Infineon, Marvell, and likely giant Intel poised to enter the market eventually, the field will soon be comparable to the aisles of CES 2010... very packed. One thing I have learned is that initial leadership doesn't guarantee final outcome but we have to appreciate LG's rise in the LTE technology arena. UMB now officially dead, Long live LTE! As one article put it, "Qualcomm cancels its own 4G system" going further to mention "Ultramobile broadband (UMB) is ultra dead". I blogged earlier about Nortel abandoning its CDMA business and about CDMA operators defecting to LTE and was sort of waiting for this imminent announcement to happen. There were already rumors about this happening since last year. (Not sure if some Hedge fund managers did be on this ;). 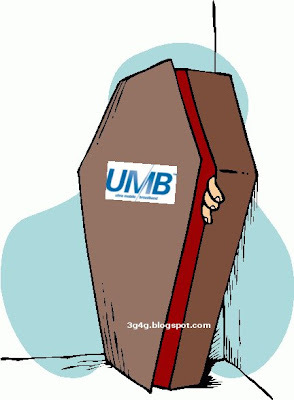 UMB is also known as CDMA2000 EV-DO Rev C.
Qualcomm Inc officially announced that it has stopped development of Ultra Mobile Broadband (UMB), its next-generation, high-speed wireless technology, and has been making small-scale layoffs as it looks to cut costs in the weakening economy, Chief Executive Paul Jacobs said. Jacobs said the company was putting resources into LTE technology instead. However, Qualcomm in recent years has gained dominance in the LTE development field as well. With Qualcomm now heavily invested in UMTS/HSPA technology, UMB had Qualcomm playing both sides, ensuring that they would be dominant in all CDMA-derived products (both UMB and LTE use technology originally derived from Qualcomm’s oldest CDMA patents). This leaves LTE as the eventual winner and with Operators already planning to roll out LTE network mid next year, WiMAX is going to get tough competetion from LTE. CDMA2000 operators meanwhile will have to now start planning how to move towards LTE (or WiMAX for that matter). 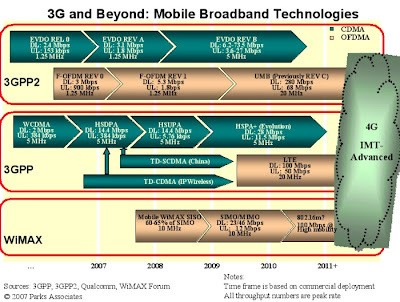 3GPP has laid down clear evolution path to move to LTE from CDMA2000. Other option which I quoted earlier is the eHRPD approach. Nortel is busy demo-ing 4G technologies at the Mobile World Congress (MWC ... formerly 3GSM) 2008. "Today, at home or at the office, your network is just there - putting the world at your fingertips. But if you are out on the move, whether it be for meetings, running errands, or traveling around the world, your communications experience becomes very, very complicated," said Scott Wickware, vice president of marketing and strategy for Carrier Networks, Nortel. "You can e-mail, but you can't send or open certain files. You can surf the net, but you have to wait ages for pages to load and forget about watching a video. Your other option is to search out a WiFi hot spot where you'll then have to pay yet another connection fee. When you go mobile, all of a sudden you are forced to pay attention to the network and you shouldn't have to." The demand for better connections and the need for the experience to be simple are what drive the next level of innovation in our networks. For wireless networks, that next level of innovation is 4G mobile broadband, which includes LTE and WiMAX. 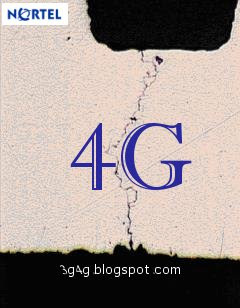 4G can extend the quality experience that users get from their fixed connections into the mobile world. Nortel has all the elements needed to bring carriers successfully into the 4G world: innovation in WiMAX and LTE, a strong ecosystem, all IP-core, and a deep understanding of what consumer and business users are looking for from their wireless experience. 4G delivers true mobile broadband for the masses with a superior user experience. Nortel is boosting the adoption of mobile multimedia and the delivery of a true mobile broadband experience through our leadership in 4G-enabled technologies (WiMAX, LTE (Long Term Evolution), UMB (Ultra Mobile Broadband), and IMS (IP Multimedia Subsystem). 4G mobile broadband provides improved performance, lower total cost of ownership and enables a new era of personalized services. 4G networks are IP-based and flatter with fewer nodes to manage. The benefits are significant and can make 4G mobile broadband a truly disruptive and game-changing technology. 3GPP is celebrating after Verizon Wireless announced that it would be using 3GPP backed LTE as its next generation wireless technology of choice. Of course the decision was influenced by its sister company Vodafone. Verizon Wireless is currently using CDMA2000 EV-DO Rev 0 and Rev A in its wireless network in the US, which means that Verizon's natural next technological step on the way to 4G should have been the adoption of UMB. However, this decision is not as simple as it seems, as shown by Verizon Wireless' selection of LTE over its CDMA counterpart. Just a few months removed from rumors that Vodafone would offload its stake in Verizon Wireless altogether, the two networks have announced that they'll share a common selection for their fourth-generation data networks: Long-Term Evolution. 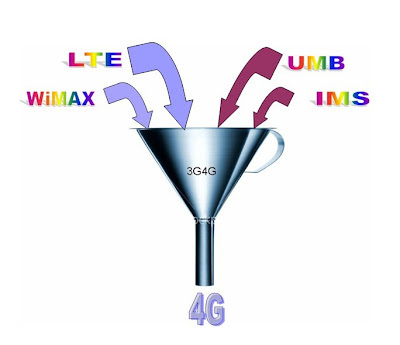 Endorsed by the 3GPP as the official way to burn wireless rubber in the next few years, LTE is a progression of GSM's UMTS platform, making it an ironic choice for CDMA stalwart Verizon and a huge blow for the CDMA Development Group's competing UMB standard. It seems that the unusual move was influenced by the fact that the sister networks -- two of the world's largest -- should probably enjoy some semblance of technological synergy if they're going to carry on their blissful matrimony for the foreseeable future, with Verizon CEO Ivan Seidenberg saying the company has been looking for "stability" in the relationship. Whatever the case, don't throw away that brand spanking new VX8550 or anything rash like that -- the companies aren't looking to roll anything out for another three or four years. This announcement is bad news for the UMB camp and its main backer, Qualcomm, as there is still no major CDMA operator that has committed to rolling out UMB technology. For example, the other largest CDMA operator in the US, Sprint Nextel, which also operates Rev 0 and Rev A CDMA networks nationwide embraced the mobile WiMAX technology for its next generation wireless network. At the same time, in Japan, KDDI which is one of the most significant CDMA operators worldwide has just announced the creation of a joint-venture to bid for a 2.5GHz licence in order to deploy a mobile WiMAX network. Even if UMB is often marketed as benefiting from a time-to-market advantage compared to its 3GPP rival, UMB's future is not looking as bright as some vendors may have hoped for. Verizon Wireless' move is significant for LTE, as it is a win in CDMA's birthplace and consequently strengthens its position as a potential alternative to UMB for other CDMA operators worldwide. One of the key selection criteria for any technology is its capability to generate economies of scale. Compared to UMB, LTE was already benefiting from an advantage in this domain as 3GPP technologies enjoy wider adoption worldwide and this, in addition to the fact that there's no strong commitment from major operators behind UMB, means that UMB's appeal is considerably weakened. For Vodafone and Verizon Wireless, the decision to adopt a common technology for next generation wireless networks means that the companies have a common long-term view and therefore implies their relationship is long term. 'This LTE thing plays out probably over five to six years', said Verizon CEO Ivan Seidenberg, thus reinforcing Vodafone's insistence that it is not looking to sell its equity investment in the US operator. Using a common platform for next generation wireless services will also fix the current roaming issues due to system incompatibility between CDMA and GSM that Verizon or Vodafone subscribers are experiencing today when travelling. This announcement also comes as clarification from Vodafone, by reiterating Vodafone's commitment to LTE as its mainstream technology for next generation wireless networks - a position WiMAX believers challenged after Vodafone joined the WiMAX Forum and Arun Sarin's announcements at a couple of industry events. However, if LTE's backers want to keep the lead at Vodafone, they would be particularly well advised to take into account Sarin's comments regarding LTE time-to-market issues. More on LTE at 3G4G website. Recently i have come across press releases trying to sell UMB (Ultra Mobile Broadband) as 4G technology. This is the same as trying to sell LTE and mobile -WiMAX as a 4G technology. IMT has taken a clever approach and instead of calling the successor of 3G as 4G, they are calling it IMT-Advanced. Doing some digging on the UMB topic, i realised that it is the same as LTE but an evolution from CDMA2000. This is being standardised by 3GPP2. Since the term 4G is already being abused so much, one option is to let people use 4G as they wish and then when IMT-Advanced is available, start calling it 5G. What do you think?